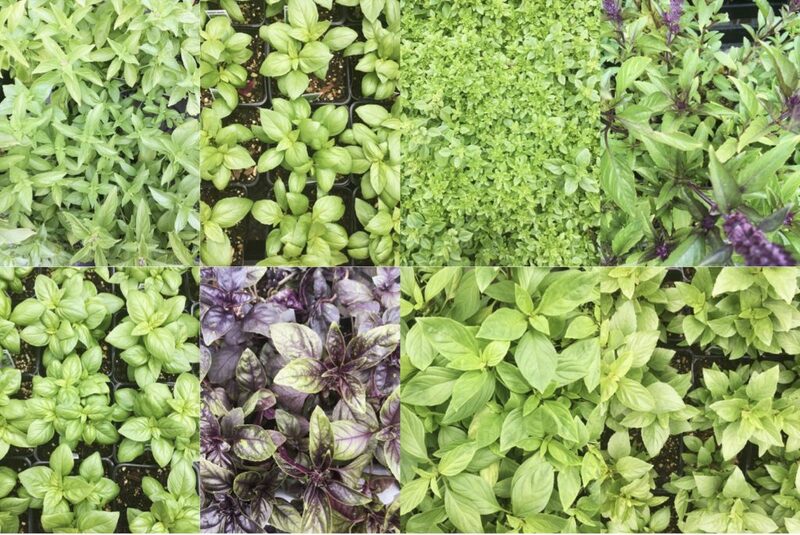 Although more than 60 types of basil exist – you’re likely to be familiar with only 1-3, which is ok because with the exception of a few below, are just slightly different versions of each other. 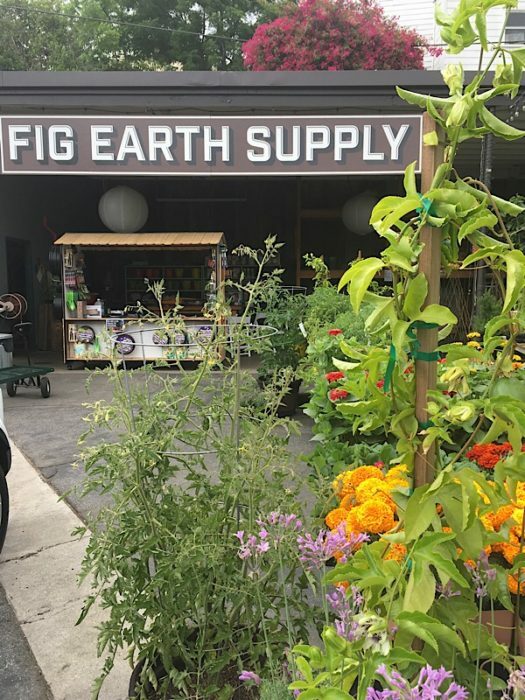 Fig Earth Supply in LA happened to have nine…although and Lorena and Connor were really helpful, I couldn’t take one home with me. 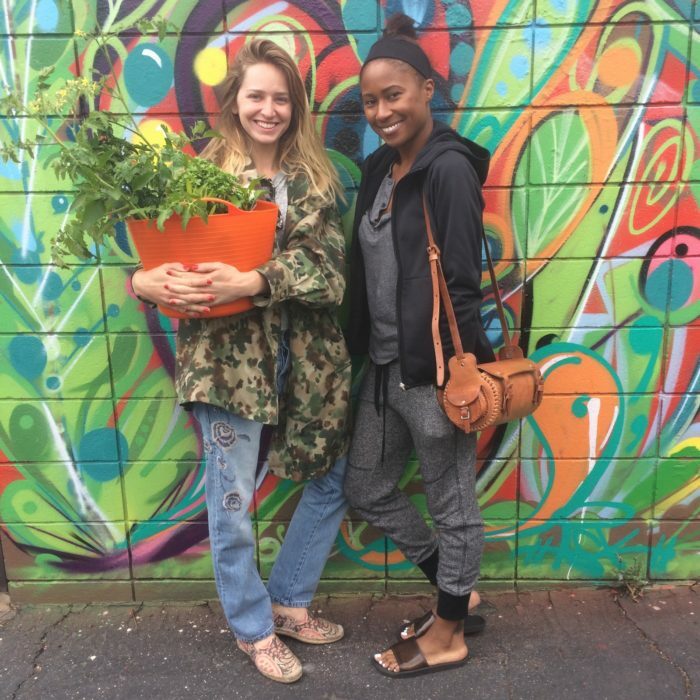 Although I’ve grown lots of my own food in the past (including basil), I’ve been so busy with Superfood School, that I consider that my garden these days – launching is business is no joke! Anywhoo, I was recently there with a friend and while she built her boxes… I bit on basil, LOL. 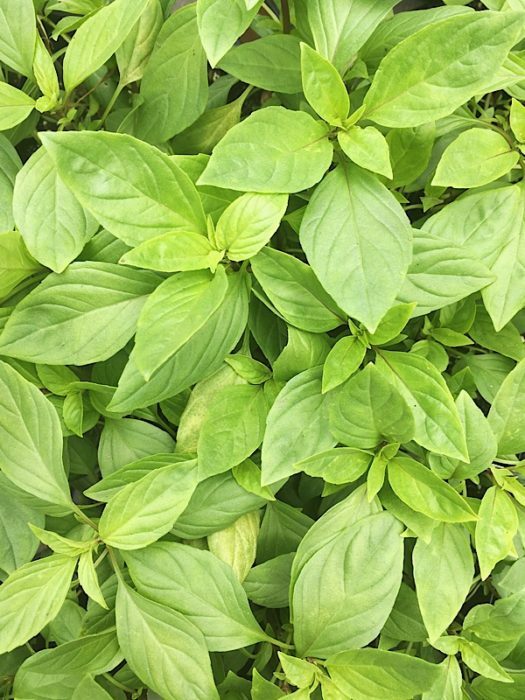 Although there are more than a few blogs about basil, most of them involve using it for chicken and pesto… or chicken and pesto… and occasionally fish. 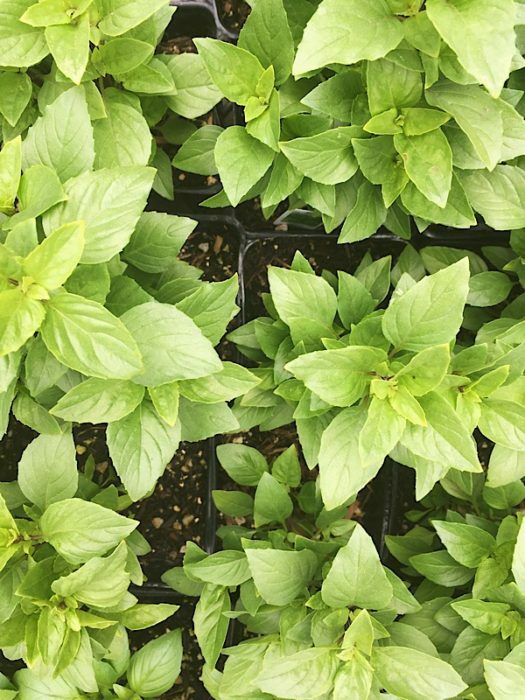 Although the most common types of basil are Italian and Thai, some groceries and farmers markets often have different types of basil. Keep a look out through the year and use the info below to try something new when you find it. And yes they all work for pesto. Out of the group this one was the most pronounced, the lemon was more like a pungent lemongrass. It was also a bit spicy. In addition to pesto, blend a few leaves to any green juice or smoothie for a citrus twist and nutrient boost. This one gives me meaty-earthy-sagey vibes. 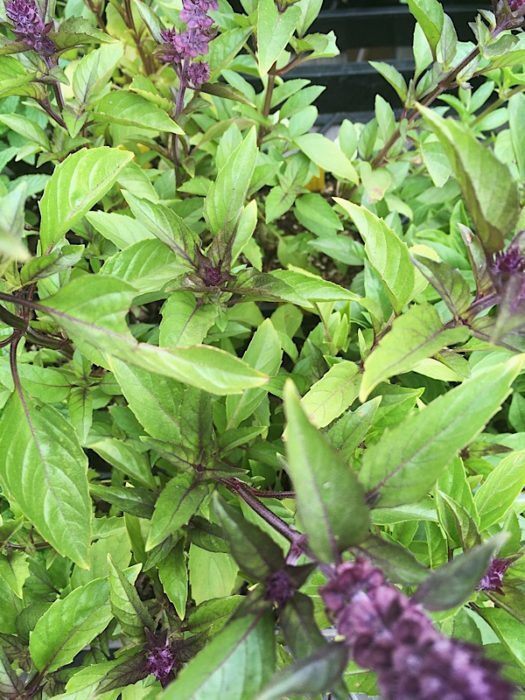 African Basil is great to blend into a sauce, dressing and of course, pesto. 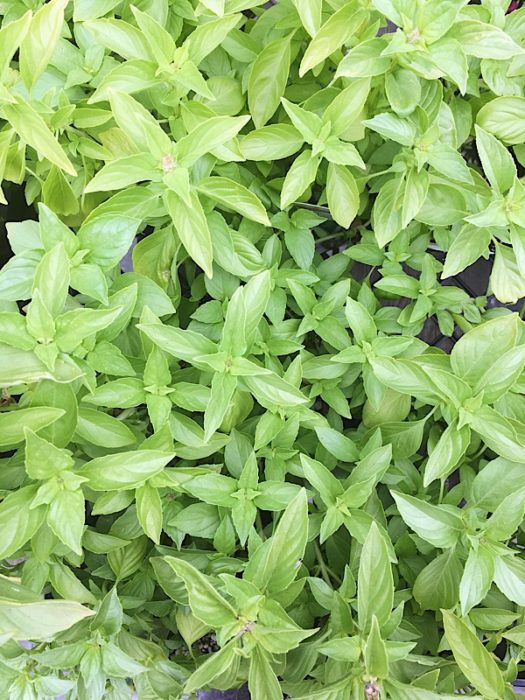 It is also one of the few types of basil that are perennial. 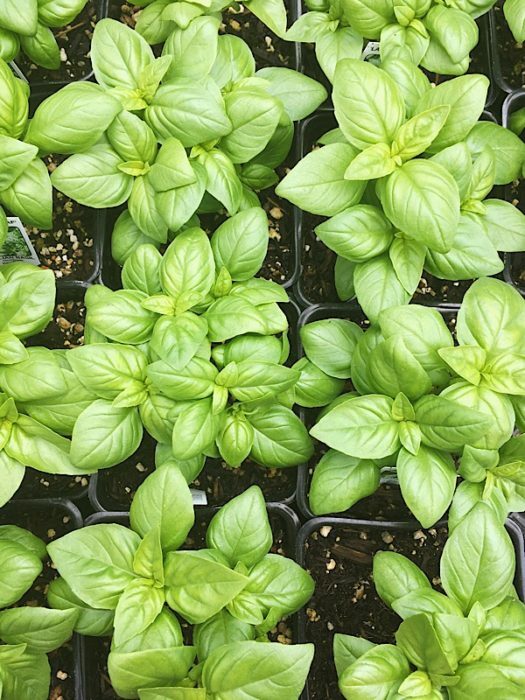 When compared to the other types of basil, Italian Basil is much more minty to me. Look out for the larger leaf varieties that are nice for sandwiches. 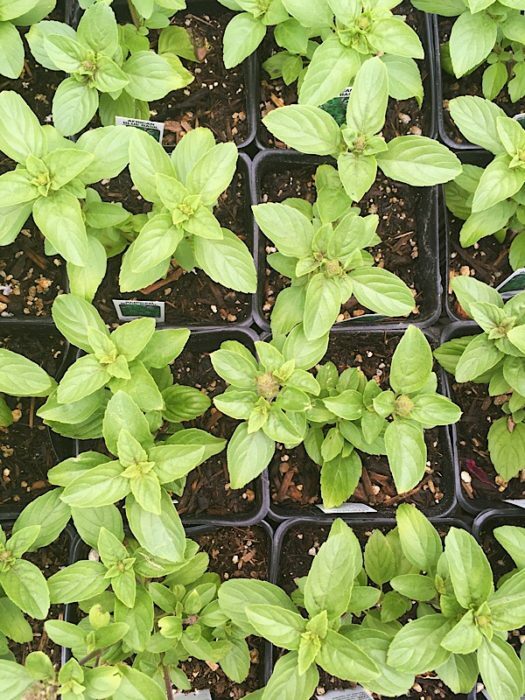 Sweet basil is not as sweet as is it is mild. This is a great choice to chop small and mix into a salad or savory dish. It’s also been known to repel mosquitoes. 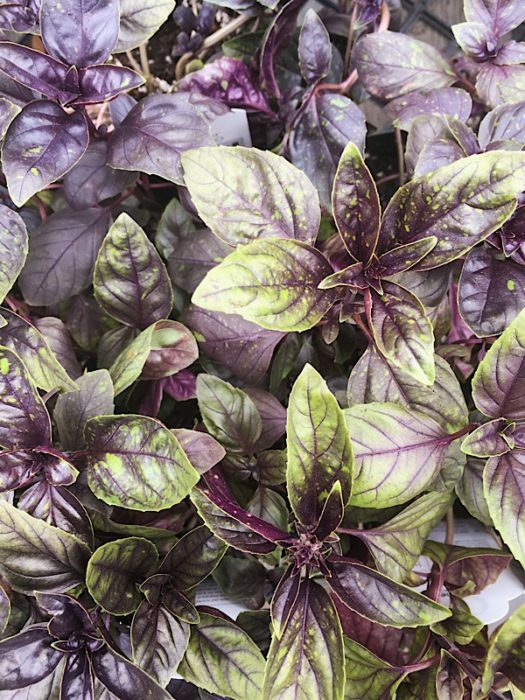 Stop here if you don’t like the flavor or star anise or black licorice – because that’s what Thai Basil is all about. The aromatic flavors will take over everything so I suggest this more for an Asian style sauce as opposed to a pesto. This was my first time trying this spicy cinnamon-ish variety. 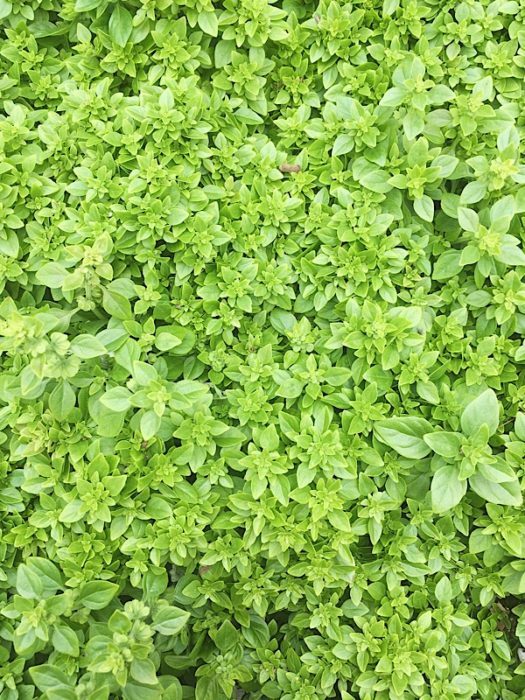 Although it looks different it indeed is basil. If you’re familiar with growing basil, you’ll be happy to know that this one doesn’t flower. Although its a bit spicy the Boxwood has an oregano flavor to it that I really like. Although mild, it has a similar taste as the Thai Basil, which is star anise/licorice – In Iran it is served with main meals. 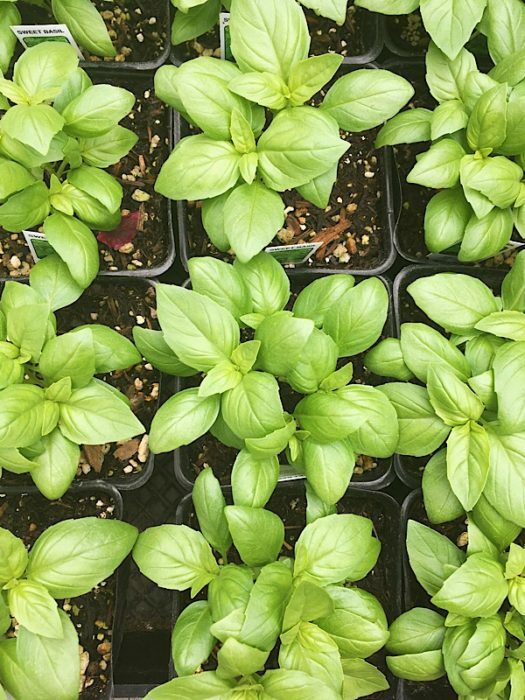 Basil is indeed a superfood! It is anti-inflammatory, anti-bacterial, and is an excellent source of Magnesium, Vitamin A, vitamin K, manganese, a very good source of copper and vitamin C, and a good source of calcium, iron, folate and omega-3 fatty acids.